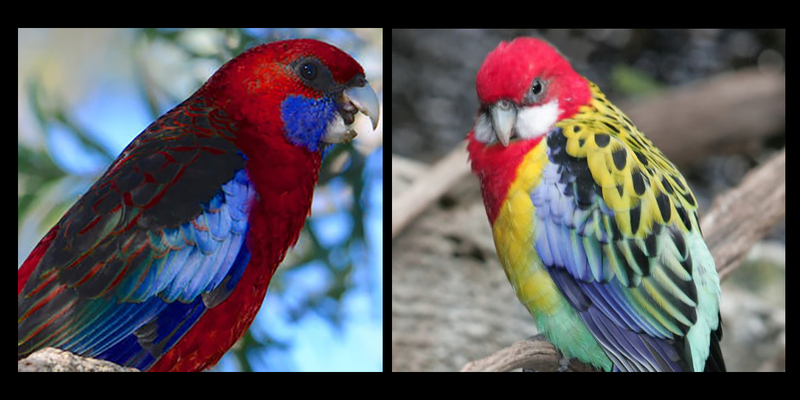 There are many species of rosella, although two are most commonly available as pets — the golden-mantled, or Eastern and the crimson rosella. Rosellas are often sought out as pet birds because of their striking appearance. They tend to be kept in an aviary setup with others of their kind, however, a well-socialized, hand-tamed rosella can be a sociable companion. 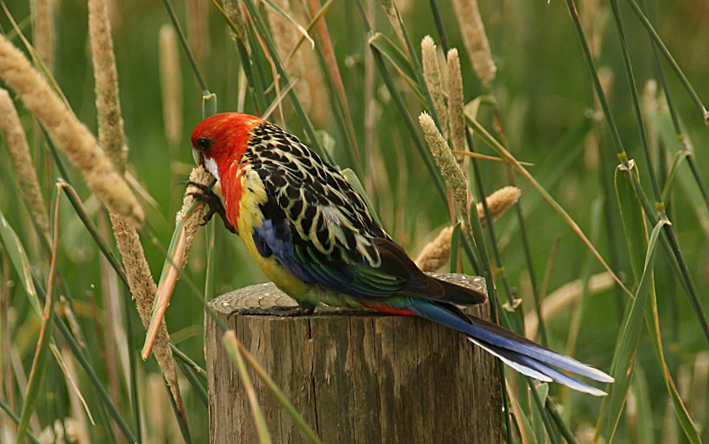 Rosellas are native to southeast Australia and nearby islands. It inhabits open forests, woodlands, gardens as well as parks, and its wild diet consists many of native grass seeds, herbs, fruits and flowering buds. While They might not be inclined to cuddle or want to be petted like other parrots, they can be sociable if they are consistently interacted with. They make great aviary birds, and will still retain their pet quality in a flighted situation if you take the time to play with them. They are capable of loud chatter, especially in the morning and in the evening. Rosellas are not great talkers, but may pick up a few simple words. 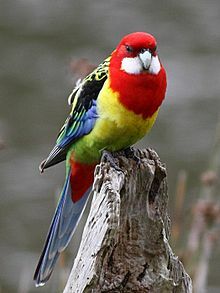 Rosellas are, however, great whistlers and can learn to whistle songs.